On skiing holidays in the world-famous winter world Ski amadé in the Salzburger Land region, no desires are left open! In the natural arena around the popular town Altenmarkt-Zauchensee, skiing, hiking experience and enjoyment are on the day and evening program. Modern and friendly designed rooms guarantee a pleasant night’s sleep. Young and old meet in the café on the sun terrace during the day, but also in the evening. While the children play in the active zone or the small children’s play area, the adults relax in the spa area or keep fit in the gym. However, if you do feel the desire for some aprés-ski: Altenmarkt-Zauchensee is the ideal place to celebrate in fun company! Delicacies from the rich breakfast buffet and other meals can be tasted in one of the two spacious dining rooms. The winter holiday ski region impresses with 760 kilometres of slopes, 270 cableway installations and refined après-ski. During the summer, countless hiking trails and well developed bike trails attract guests from all over the world. Mountaineering opportunities, bathing fun and the attractive Salzburg region with many interesting arts, cultural and sports events supplement the leisure options. In the World Cup ski resort Zauchensee, 2 winter holiday worlds expect you: The ski circuit Zauchensee-Flachauwinkl and Radstadt Altenmarkt. This option is pure luxury! Due to its location and modern facilities, the JUFA Hotel Altenmarkt*** in Zauchensee in the Salzburger Land region is also an ideal partner for seminars and workshops. The JUFA Hotel Altenmarkt*** is only a few steps away from the centre of Altenmarkt. It provides an ideal base for infinite adventures and can be reached easily by car. Guests can make use of the free parking spaces for cars and buses. Coming from north / south: A10 Tauernautobahn to exit Altenmarkt – follow B320, Oberndorferstraße to Sportplatzstraße in Altenmarkt im Pongau – the JUFA Hotel is on the left side. Coming from the east: Take B1 to A1 – follow A1 to Salzburg – then take A10 exit Altenmarkt – follow B320, Oberndorferstraße to Sportplatzstraße in Altenmarkt im Pongau – the JUFA Hotel is on the left side. Coming from the south (no tunnel toll): A10 Tauernautobahn to exit Rennweg – B99 over the Katschberg – turn left into St. Michael – shortly before the end of the village take a sharp right turn – follow the signs. Attention: In winter snow chains are mandatory; steep incline! Coming from the north (no tunnel toll): A10 Tauernautobahn to exit Radstadt – B99 to Radstadt – follow B99 in the direction of Obertauern/Radstädter Tauern – at Mauterndorf keep in the direction of St. Michael/A10 Tauernautobahn – turn left into the village – shortly before the end of the village (town sign) take a sharp right turn – follow the signs. Attention: Radstädter Tauern partly closed in winter! For more detailed information on how to reach us by other forms of public transport, please refer to the websites ÖBB und WESTbahn. Over 30 km of classic and skating cross-country ski trails are available for you at the Altenmarkt-Zauchensee cross country skiing paradise with two central entrances (Rosnerfeld, near the school and the Amadé Thermal Spa) and parking facilities included. The Thermenloipe (3.7 km), the challenging Hochbifangloipe (6.3 km) and the snow guaranteed woodland trail (10.6 km) are among the most beautiful trails. PLUS: The trails in Altenmarkt-Zauchensee are part of the interlinking trail network of the Salzburger Sportwelt, which has a total length of 260 km. How about ice skating on a centrally located natural surface? Every day from 15:00 onward you can glide around on 300m² of ice. Do you prefer curling? No problem, even this type of ice sport is popular in Altenmarkt-Zauchensee. Pleas don’t forget to book! „Summer“- tobogganing fun in the Winter? In the Salzburg region you can enjoy tobogganing on 1,100 metres of track all year round. Swap the “normal” winter sledge for the “Lucky Speedster” Alpine Coaster Flachau and fly down into the valley with it. The JUFA Hotel Altenmarkt*** is not only a popular holiday destination, but also provides an expert service for businesses wishing to hold seminars, training events, team meetings or workshops that are run over several days. In an impressive and picturesque location, you can make use of our multi-function rooms (seminar, recreation room) that are equipped with the latest technology. It is not only our modern facilities that will make your seminar in Altenmarkt more productive: The JUFA Hotel Altenmarkt*** can also offer a range of indoor and outdoor activities designed to boost energy levels. We will be more than happy to help you with the organisation and implementation of your plans. Are you hoping to enjoy a week of sport? Do you want to really work up a sweat on your skiing holiday? The JUFA Hotel Altenmarkt*** has first rate facilities: Active zone with table tennis, air hockey, wuzzler and a gym ready for athletic visitors. In the great outdoors, the first highlights won’t be long in coming. Whether rafting on the Enns and the Salzach or climbing and ice skating in Zauchensee – the JUFA Hotel Altenmarkt*** guarantees you to stay fit during your family holiday. A strong team spirit and a positive working atmosphere cannot be taken for granted. However, the ability to develop trusting working relationships can be learned. The JUFA Hotel Altenmarkt*** has the perfect facilities to suit your methods, whether you are supervising a programme for school-aged children or running training activities for an association or a company. Students attending field trips can enjoy an engaging social experience and will learn about team spirit. Staff attending company outings and training courses will find that their motivation levels and team skills are enhanced. Multi-function rooms, an active zone with table tennis, air hockey and a gym are available as well as outdoor offers. Looking for tips for group excursions? Altenmarkt Old Town Museum, Liechtenstein ravine, Ice caves, Dachstein glacier, Lucky Speedster „Alpine Coaster Flachau“, Hüttau Copper mine, Amadé Thermal Spa. The many sightseeing locations that are within easy reach offer a range of fantastic experiences and the excellent facilities at our hotel ensure that school outings and trips organised for companies and associations are truly memorable. "Ein entspannter Familienurlaub - jederzeit wieder"
"Top Hotel mit netten Personen"
"Hotel in gewohnter Jufa Qualität im Zentrum"
The hotel manager Hans-Peter Gallbrunner and his team are available to answer your questions at any time! 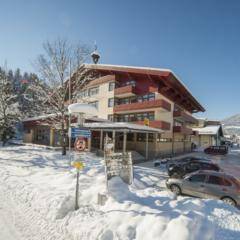 Im interested in the offer "JUFA Hotel Altenmarkt***" in the .